Three of the album’s songs, “Winter Lady”, “The Stranger Song”, and “Sisters of Mercy”, were used in the 1971 Robert Altman film McCabe & Mrs. Miller. Music from the album is also used extensively in German filmmaker Rainer Werner Fassbinder’s 1971 drama Beware of a Holy Whore. Werner Herzog’s film Fata Morgana, also of 1971, includes the songs Suzanne, So Long Marianne and Hey, That’s No Way to Say Goodbye. Judy Collins recorded “Sisters of Mercy” on her 1967 hit album Wildflowers. Sting and The Chieftains performed a Celtic music-influenced version of the song on Tower of Song. “Sisters of Mercy” was also covered by Area, a darkwave band from Champaign, Illinois on their 1988 CD The Perfect Dream. 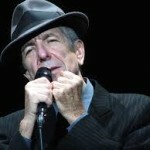 Beth Orton performed “Sisters of Mercy” in the film Leonard Cohen: I’m Your Man.